Is Netanyahu's Stunning Political Deal a Prelude to War? Mofaz was born and raised in Tehran, Iran. He learned to speak Farsi fluently before emigrating to Israel in 1957 and rising through the ranks of the Israeli Defense Forces. He served as Defense Minister under Prime Minister Ariel Sharon. Thus, Netanyahu now has another experienced military commander and strategist at his side, in addition to current Defense Minister Ehud Barak (another long-time political rival of Netanyahu), and current Vice Prime Minister Moshe Yaalon, who used to be the chief of staff of the IDF. 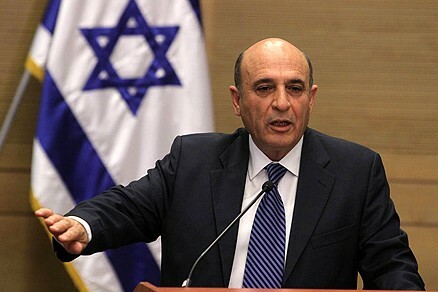 However, just a few weeks ago, Mofaz was calling Netanyahu a “liar,” vowing never to join the Netanyahu government, and attacking the Prime Minister’s approach towards Iran, saying Israel did not need to consider a preemptive strike against Iran for at least another two years. Did Netanyahu convince Mofaz that the need to hit Iran sooner is actually more urgent that Mofaz thought, and if so, how? Or did Mofaz simply read the polls that showed early elections would decimate his “Kadima” political party and reduce their number of Knesset seats from 28 to 15 or less, and thus decide to join the government to forestall such early elections? Maybe both. Time will tell. For now, let’s be clear: Netanyahu and his government are clearly and steadily preparing for a major war with Iran. That doesn’t mean it will happen this year, or next. The Russians could intervene. The Iranian government could fall. Other circumstances could change. The Lord could supernaturally intervene. But war could be coming, and coming soon. The Israelis are getting ready. Is the Church?